Cytus APK 9.1.2 is unique rhythm game to play on smartphone and tablet. The music related to the game tends to depend solely on popular songs. However, Cytus has its own music to play, so you do not have to download it every time you want to play. It is not common rhythm game where you just tap or wipe follow melody. There is interesting background story to keep this game more attractive. As information, it is released in 2012 and many players around the world have played it. Developer takes the name Cytus from Greek mythology as it represents the river of lamentation. The reason of the name will influence most of story. This game has nine levels, from easiest to the most difficult one. Player will see stunning art style on characters, background, and signs. This style is like drawn by hand. The songs come in various genre such as pop, trance, jazz, and drums. You can play original song or alternate version. There is black line called Active Scan Line which Notes appear when music played. Player should pay attention on Notes. Click Note is the small circular to tap on screen. Meanwhile, Hold Note is the long line that requires long touch on screen to pass. Another Note is Drag mode where player should drag into certain position. This instruction is simple and you will get used to them eventually. At the end of section, player will receive judgment based on his or her performance. Player needs to pass certain level by collecting point. Maximum points are one million and you can pass after gaining seven hundred thousand points. Player will get repost about grade, score, and hits in each level. This game is praised as the most exquisite game in rhythm genre. This appreciation comes from smooth graphic and attractive character. Intuitive display helps to adjust screen and to see the better user interface. 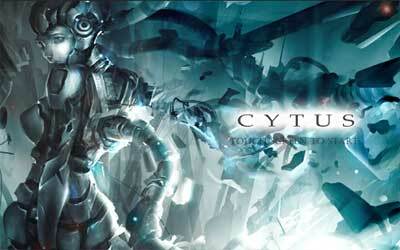 Cytus for Android will definitely make you forget for moment outside world.